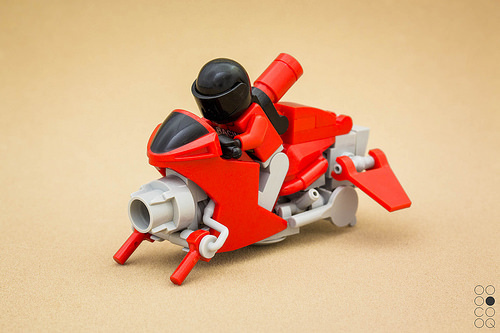 Building anything tiny out of LEGO is always a joy — especially when you’re able to use parts creatively as something other than what they were designed for. Cole Blaq‘s hoverbike, which is modified heavily from a bike frame, has a few things that stand out. One is that jetpack that seems to be mounted at the back of the rider, but what really tickles my fancy are the telescopic fork tubes that utilise paint roller handles. Bring your own helmet if you’re up for a fast ride… no license needed where there are no roads built for it.